Can I be honest and say that I never thought we did a good job writing up the review of Space Alert, the board game? It was one of the first reviews we did and the various players were divided on how to present the review, but...I always thought we could have done better. 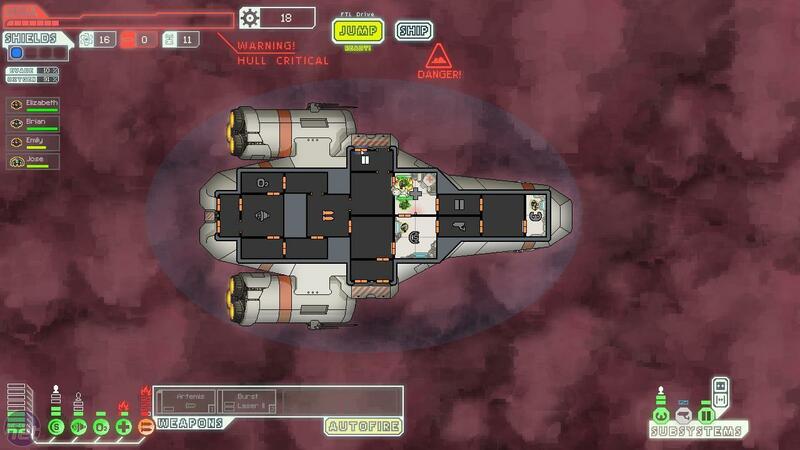 Luckily, I know get a kind-of second chance, because FTL? It's basically the computer game version of Space Alert. Except better. Here's how it works: You look down on a roofless version of your spaceship and issue orders to both the crew and the ships systems. There are a variety of each at your disposal to start with and as you advance through the campaign you discover more on the way. New crew members may sign up, for example, while new weapons and defenses can be salvaged or bought too. The systems are divided firmly into two camps: Primary and Subsystems, both of which have to draw power from your central reactor if they're to work. The difference is that Subsystems (such as doors and sensors) draw power automatically, while Primary systems (such as shields and engines) have to be allocated energy manually - and your reactor can only output so much. This forms the back of the most basic interaction in FTL; allocating energy and crew while planning the gradual upgrade of your systems and reactor. On a grander level though, FTL is also a Choose Your Own Adventure game where you have to jump blindly to a series of star systems in an attempt to outrun an enemy fleet. Each system you jump to contains a random event, which you either have to overcome or survive long enough for your engines to charge up again. This means there's enormous replayability in the game, because you never know what you're going to find next. Replayability ends up being the cornerstone of FTL too, since the campaign is only about an hour or so long - ending when you reach your home fleet and can turn the tide on the enemy. Permadeath means you're unlikely to get that far on your first few runs through the game (especially since the tutorial skips over some features for the sake of brevity), but that's not a problem. Like Flotilla, this is a game designed to played often and repeatedly - and the drive to unlock new ships and discover new things keeps you coming back for more. 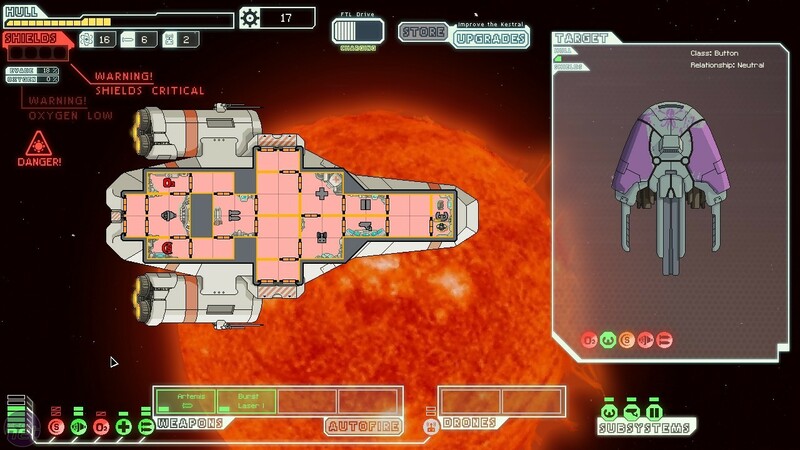 What really makes FTL stand out from a features-standpoint though is the pace at which it scales in difficulty, adhering to that old adage of being easy to pick but hard to master. The process of assigning crew and energy always starts off simple (put a crew member on each system, turn the medbay off unless you need it) but just when you're getting to grips with it a new complication will appear. Enemy crews will board your vessel or fires will break out in your subsystems as more exotic weapons come into play, while it's easy to let your power demands outpace your capacity. X Rebirth might look fantastic, but its beauty is only skin deep.